Australia Post is taking advantage of the current boom in online retail, increasing the cost of prepaid parcel shipping in Australia by about 30 per cent. Effective from today, Australia Post has increased the pricing for its parcel delivery service by up to 30 per cent across the board. The price increase doesn't effect the standard 60 cent stamp though. In addition to the general price increase, the post office has also tweaked its parcel shipping offerings, with new simpler options for delivery speed, weight and optional extras like tracking and requiring a signature on delivery. With the vast majority of parcel delivery now occurring thanks to online sales like eBay transactions, it's unlikely that the extra delivery costs are going to be absorbed by the seller. Understandably, the price increase hasn't gone down too well with online retailers. An online petition at Change.org has gained over 1800 signatures in just three days. "Australia Post, as a government owned business unit should have more than just the bottom line in mind when setting prices for what is an essential service for many. 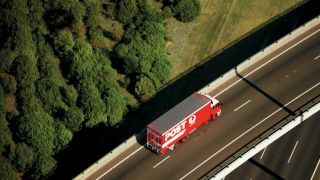 Last financial year, Australia Post reported a profit of over $280 million dollars. It is unacceptable to gouge Australians further by continual price increases," the petition claims.